If you take heroin during your pregnancy you are putting both yourself and your baby’s lives at great risk. 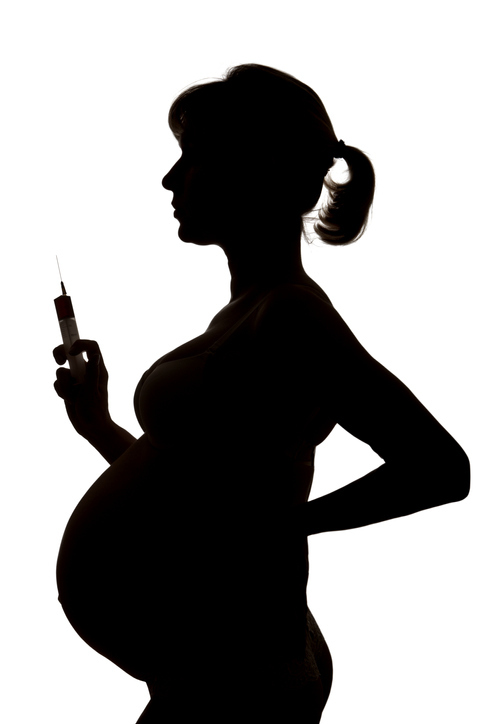 If you are pregnant and using heroin, it is also important to know that if you plan to stop, simply quitting suddenly can cause even further harm to your unborn child, so it is important to seek medical advice so that you can wean your body off of the substance gradually in a way that is safe for your baby. Drugs such as methadone can be typically used as part of treatment to help you feel less dependent on heroin in a way that is safe for you and your baby. Heroin is an opiate drug produced from opium poppies. It forms a loose powder that is either brown or white in colour. Users either smoke the drug, or inject it after dissolving it in water. Heroin is made from morphine and is used in medical treatments as a painkiller known as ‘diamorphine‘. It therefore blocks the ability to feel pain, and gives a numbing affect that is considered euphoric. It can however be very dangerous as its painkilling properties mask any other symptoms the user may be experiencing as a result of an underlying condition. Over time, because the drug is so addictive, increased quantities are needed as the user develops a tolerance to it and requires repeated additional amounts to obtain the desired feeling of relaxation and pleasure. Your body breaks heroin down very quickly. The products of the breakdown however have much longer-lasting effects. 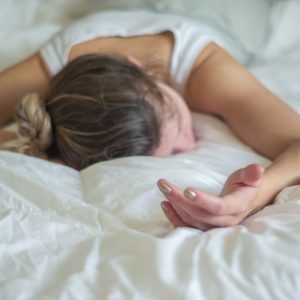 Detoxing from heroin can be difficult because its byproducts take longer to leave the body, and so can the symptoms of withdrawal, making quitting heroin very challenging. Heroin gives the user intense feelings of bliss and euphoria, but these are short-term. Continued and repeated abuse of the drug is therefore common to achieve a prolonged state of euphoria. Heroin is so dangerous because it cause respiratory failure and can even stop breathing as it puts the body into an extreme state of relaxation. Physical symptoms of heroin addiction include tiredness, weight loss, watery eyes, constipation, bruising and/or needle marks on the skin/arms, sleep deprivation, kidney damage, Hepatitis C and Pneumonia. The drug also has a strong mental effect on the user, and associated symptoms include feelings of guilt and hopelessness, poor judgement, paranoia, depression and feeling disorientated. The user may also wear long sleeved clothing to conceal bruising and/or needle marks, and general secrecy. Taking large amounts of the drug causes your respiratory system to slow down so much that it can stop. If you are finding it difficult to quit heroin and you are pregnant, we can help at Cassiobury Court. We have a range of treatments available that can help those with heroin dependency to get back on track to a life that isn’t dictated by thoughts of drugs, which is especially important when you are expecting a baby. If you are pregnant and struggling to stop taking heroin, you risk doing severe damage to your health and that of your unborn baby. Our recovery programmes can help you focus on the mental and physical sides of heroin rehabilitation. Any heroin rehab programme typically involves a withdrawal process, with symptoms lasting up to two weeks or more (since your last dose of heroin). During this time, we will observe you closely to ensure that you and your baby are safe and healthy. Working together, we will slowly decrease your heroin consumption to a point which is safer for your baby, until you no longer feel you need heroin. Depending on the nature of your addiction, during a heroin rehab programme with us you may be offered drugs that can help ease your withdrawal symptoms, such as sedatives or methadone, which is used as a heroin substitute. Once you are able to control your withdrawal symptoms, you can have counselling and therapy sessions with us to focus on the triggers that cause your addiction. Recovery programmes for heroin addiction such as ours at Cassiobury Court generally focus on the mental and physical sides of heroin rehabilitation. Users typically suffer from withdrawal symptoms. Withdrawal symptoms vary from person to person, but can last up to two weeks or more (since your last dose of heroin). Drugs that can help ease your withdrawal symptoms, such as sedatives or heroin substitutes such as methadone to slowly wean you off of heroin gradually. Get in touch with us today to find out more about heroin and pregnancy and how we can help you with a heroin addiction.